Spring/ Summer 2019 sees a new freshness to the hair trends of late 2018, embracing individuality and naturalness and really allowing people to present themselves as their best self. The SS 2019 runways were awash with pastel hues, hair accessories, textured cuts and styles accentuating natural curls and waves. 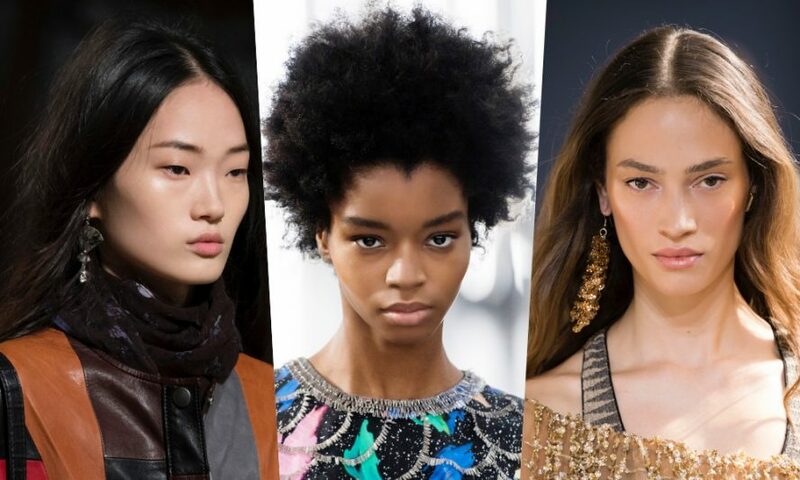 Check out the 9 key Spring/Summer 2019 Hair Trends | For Women which is all about an abundance of flow, movement and colour. Slicked back hair with comb marks throughout the hair for an edgier touch. A revamp of the wet look popular of the autumn/ winter 2018 season. Use a blow dryer with a comb attachment will stretch out your coils and show off more of your length. Create a chic but effortless look. Messy buns and top knots continue to reign supreme but with a more tussled look. A style every woman can do easily herself, messy buns and top knots are ideal for a casual but elegant look for SS19. The biggest news for the coming season is embracing your curls, deeply nourished ringlets and shaggy curl cuts are big for summer. Fringes or bangs are game-changers and work for every face shape. Update a well-loved cut easily with a set of bangs or go for the chop and feel the difference. Keep short to frame the face or have them longer. Push them back, sweep them forward, you decide. Pastel Hues bring in rays of colour as we emerge from the darkness of winter. Soft hues of pink, blues, greens were all the runway reminiscent of spring in full bloom. From box braids to crochet braids, however you like to wear it, braids are big news in 2019. It is all in the length. Hair looks best when it is healthy and well maintained. It can be parted to one side to mix it up taking you from beach bunny to nightclub ready in a flash. Make a statement with lusciously long locks.